Ecology deals with organisms in relation to their environment. This may be a single organism in relation to its physical environment (autecology). But other organisms are usually present forming part of the environment and the interaction between them is an important aspect of ecology (synecology). in a narrow sense the individuals of a species growing in a particular area - a cornfield, an area of woodland or even an interiorscape. we can also talk of "breeding populations", the individuals that have the opportunity to mate. The possibility of fertile mating is one criterion of a species. If individual plants do not belong to the same breeding population they are on their way to being different species. Community is a wider term referring to the assembled individuals of different species in a location. A plant community such as an oak-hickory woodland would typically contain a mix of trees and herbaceous plants that we can see many places in Ohio. The term can be extended to include the other organisms in an area, birds, mammals, insects, fungi, bacteria, even ourselves. Early ecologists saw a community as a kind of super-organism in which individual species are are linked and each is necessary for the function of the whole. It seems that although species do interact and affect the fate of the whole, the community is really made up of individuals that just happen to occur in the same location. Populations and communities could not exist without a physical environment. This is determined by the topography, geology, and climate of an area, all of which may be modified over time by the organisms that live there. The organic community with the physical environment makes up an ecosystem. Around the world there are ecosystems that look similar: deciduous forest, grasslands, wetlands, deserts. When we look closer we realize that the same species are not involved. There may be closely related or quite unrelated plants and animals occupying similar ecological niches. A group of ecosystems with similar biological features is called a biome. Competition between different plants is universal and is most intense when there are similarities between plants in their environmental requirements. Light is the primary resource for which plants compete, followed by water and nutrients. Antagonism is commonly between plants and other kinds of organisms, although it can be between plants. Allelopathy occurs when one plant produces chemicals that inhibit the growth of other plants. Black walnut (Juglans nigra) secretes toxins from its roots that inhibit the growth of herbaceous plants in its vicinity. We don't know how common this phenomenon is, although there is great interest in the use of cover crops for weed suppression in the field. Herbivory affects most if not all plants; they are consumed by animals ranging from microscopic arthropods to elephants. 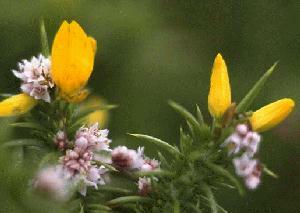 Parasitism involves mostly viral, bacterial and fungal pathogens, but there are a few parasitic angiosperms. Plants have evolved defenses against both herbivores and pathogens. These can be physical: thorns and spines deter browsing animals; thick cuticles, lignified and suberized tissues can be a barrier to hyphal penetration. Chemical defense is also widespread: major functions of the wide variety of secondary metabolites that plants produce are to deter herbivores and inhibit pathogen attack. Sometimes these compounds are always present in the plant; when they are formed in response to pathogen attack they are called "phytoalexins". These interactions are not just features of wild areas. Anywhere where we grow plants, other organisms will be present. There will be parasites, herbivores, competitive weeds not to mention soil microorganisms which affect the nutrient supply available to plants. All of these interactions form a complex web which can be analyzed in various ways. Ecosystems can be represented as a pyramid of production and consumption. In all terrestrial ecosystems the main primary producers are plants (and usually angiosperms). Plants can capture about 1% (15 kcal/ha) of the incoming solar energy and convert it to food. Herbivores (cows and caterpillars) are level 1 consumers, converting about 10% (1.5 kcal/ha) of the plant energy to their own body mass (the rest of the energy is expended for movement, maintenance and heat production). Carnivores (cats and crows) are level 2 consumers with a similar conversion efficiency so that they contain about 0.15 kcal/ha or 1% of the original biomass. After level 2 the remaining energy or biomass presents little opportunity for further levels of consumption. Trophic levels give a unidirectional impression of energy or biomass flows. They are useful in analyzing carrying capacity of natural and agricultural ecosystems. They do not show the full path of nutrient flows, which are important in understanding the sustainability of systems over time. Organisms are continually absorbing and returning nutrients to their environments. In addition to the producers and consumers represented in the trophic levels analysis, recyclers (mainly fungi and bacteria) are important in maintaining availability of nutrients in all ecosystems. Physical processes such as air and water movement influence the fates of these nutrients to variable extents. The cycles also differ in scale from local to global and each is increasingly subject to human impact (deliberate or accidental). The water cycle essentially involves physical processes of evaporation, precipitation and water flow with solar energy providing the driving force. However, organisms and especially plants modify evaporation and precipitation. The presence of water in oceans and atmosphere make this a global cycle. The carbon cycle is also global but organic processes (photosynthesis and respiration) play a more dominant role than in the water cycle. The nitrogen cycle is perhaps the most complex in that so many organisms are involved in the transformations. Essentially the only way nitrogen finds it way into the food chain is through nitrogen-fixing bacteria. Nitrogen is the limiting nutrient in many ecosystems. The phosphorus cycle is simpler than the nitrogen cycle, and does not depend on a single class of organisms. Phosphorus is widely present in the earth's crust, although it may often be insoluble and unavailable to plants. It is possible to track other nutrients through ecosystems but these four have been the focus of most research. Apart from water and carbon, most nutrients are cycled locally in natural ecosystems. This was demonstrated in long-term experiments at Hubbard Brook in New Hampshire. The amounts of nutrients present in plants, animals, soils and streams were monitored in this woodland over several years. There was little gain or loss of nitrogen, calcium or potassium. When an area was cut and regrowth prevented with herbicides, losses of nutrients increased up to 20 fold so that streams became polluted with the excess. People have become a major component of the nutrient cycles both through agriculture and other activities. Typically, agricultural ecosystems export nutrients, both as crop and through drainage. These return to the cycle at a distance (often through the sewage system!) so that there are losses at the point of production. These losses have to be made up by the import of fertilizers. Nutrient cycling and trophic levels involve processes occurring all of the time in ecosystems. There are also long term changes in vegetation that we know as succession. If we clear some land we do not expect it to stay clear; gradually plants will invade. Clearance also occurs in nature through floods, storms, earthquakes, and fires. After clearance an area will be invaded by pioneer plants which often do not persist; they are joined and their place is taken by other plants. 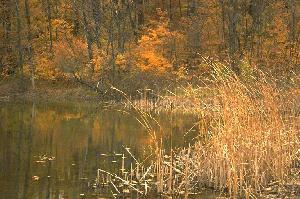 The early years will likely show a rapid change of vegetation until a more stable ecosystem develops. Early ecologists thought that this would be a climax community of plants and animals characteristic of the area. However, the process of succession may never stop and the mix of plants present at any time is unpredictable. It may be that with small scale disturbance original vegetation will recolonize an area. After a massive catastrophe, such as the drought in the Great Plains in the 1930's, the regenerating vegetation may be unlike the original (prairie in this case). Succession is a real process, even if climax communities do not exist. Each phase of vegetation modifies the habitat, creating opportunities for other plants that can exploit the resources better. Barring disaster, the productivity of the system will tend to increase. Crop production usually involves clearance that creates opportunities for pioneer plants (weeds) that would not be present otherwise. Annual clearance means that most agricultural ecosystems accumulate less biomass than the vegetation that would develop if succession were allowed to proceed. 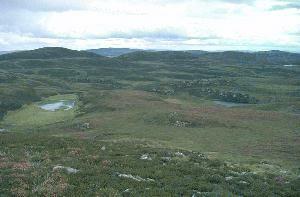 The vegetation that develops may resemble the characteristic biome of the area even if the mix of species varies. In our area this means that every where tends to end up as mixed deciduous forest however the succession starts. Until Europeans arrived the last great clearance was glaciation. This would have left shallow ponds, bare rock and clays. We can get an idea from landscapes in the North of Europe and America. All areas, even the ponds tended towards a terrestrial plant community dominated by trees. We can see this happening at lake margins today. At first the water is colonized by floating plants like Elodea and Lemna. The debris from these fills up the pond until it can support bottom rooted plants with floating leaves such as Nymphaea. The root systems of these plants help build up sediments. As the water becomes more shallow, plants that grow out of the water become established followed by sedge meadow when the depth is less than 30 cm. When the soil builds up so that the ground is only flooded at certain times of the year, alder, birch and willow move in. Finally deciduous hardwood trees become established. Early on fast growing maples may predominate and then give way to slower growing oaks. 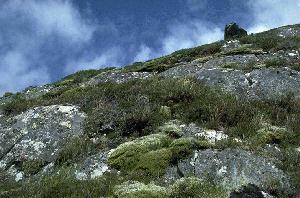 On bare rock the first plants will be crustose lichens, followed by foliose lichens. As soil builds up the surface can hold water so that mosses become established. Next come grasses. Soil continues to build until perennials can take hold. 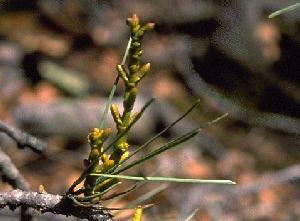 The first trees to colonize the dry site may be pines or other conifers which may be replaced by hardwood trees in time. Succession nowadays often starts with soil already formed rather than from open water or bare rock. Abandoned farmland, industrial or urban sites revert to woodland. If we are trying to maintain our own ecosystem, whether its is corn, turfgrass or an ornamental planting the further we are from this kind of community the more inputs we will have to provide and the more we will have to work to keep out the pioneer plants (weeds) that can displace our crop.